Sam Hornish Jr. was fastest in Nationwide practice and followed that up with a record-setting pole run for the 19th Annual Zippo 200 at The Glen. The Penske Racing contingent flexed road-course racing muscle with Hornish Jr.'s Coors Light Pole-winning lap of 71.538, Joey Logano's third-place 71.906 lap, and Brad Keselowski's fifth-place 71.906. JGR's Kyle Busch starts second but said "It's hard to beat these Fords going down the straightaway." Regan Smith fills in the top five with his fourth-place run for JR Motorsports. 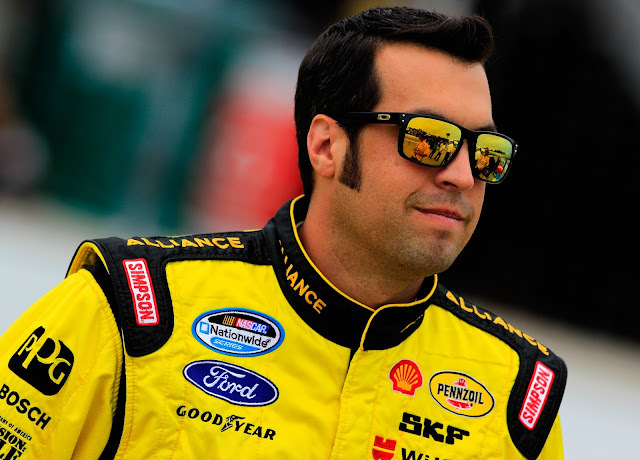 The pole is the third of Hornish Jr's NASCAR career and his second of the 2013 season. Only 40 cars entered the race so no one went home. Here's the full lineup. The 2:15 p.m. NNS Zippo 200 at The Glen can be found on ABC. Green flag: 2:35 p.m. Tags LJC X Pole Report X Sam Hornish Jr.